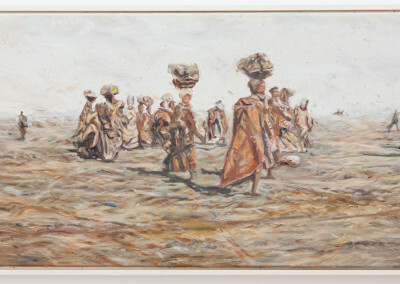 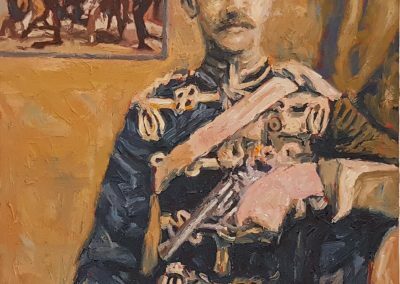 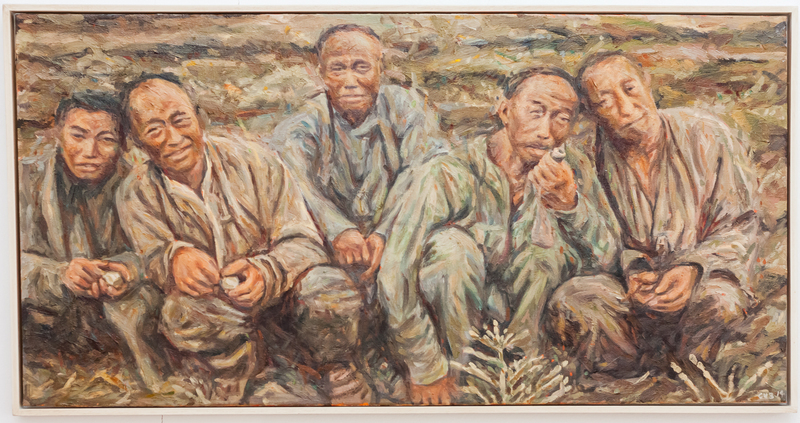 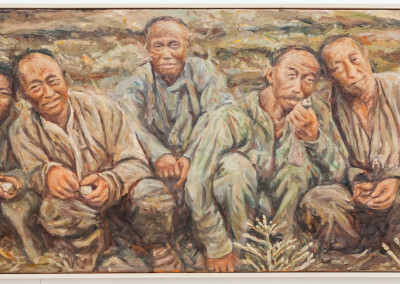 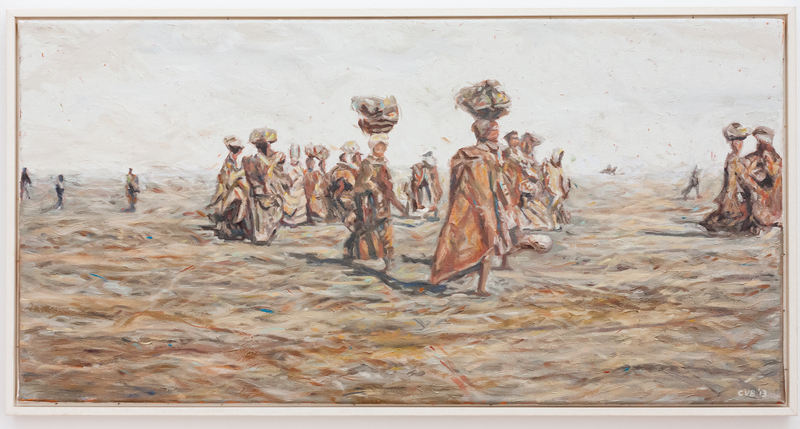 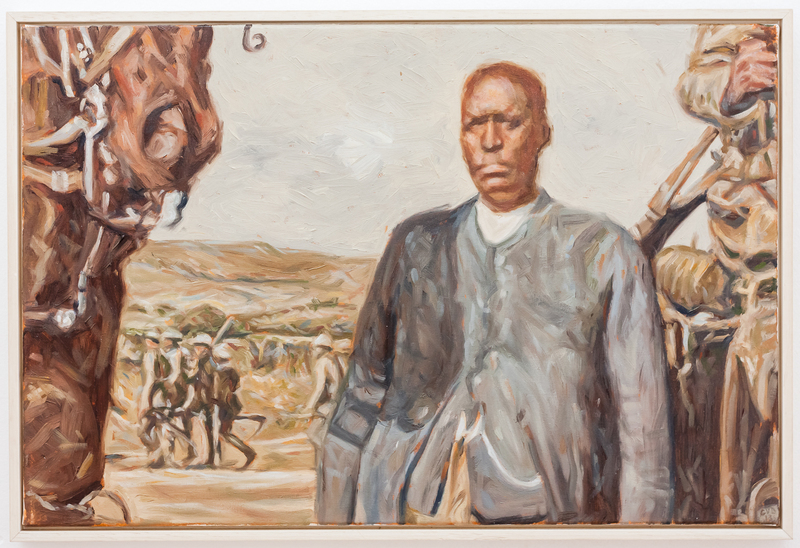 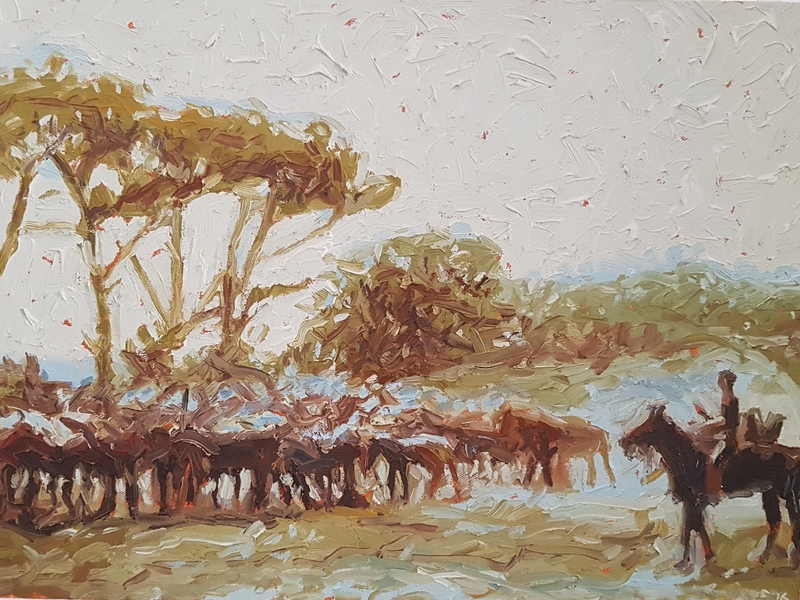 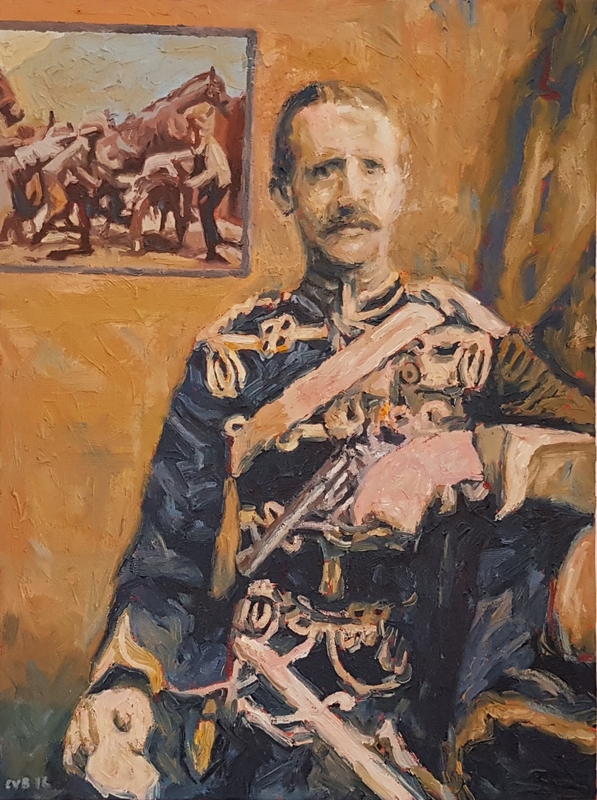 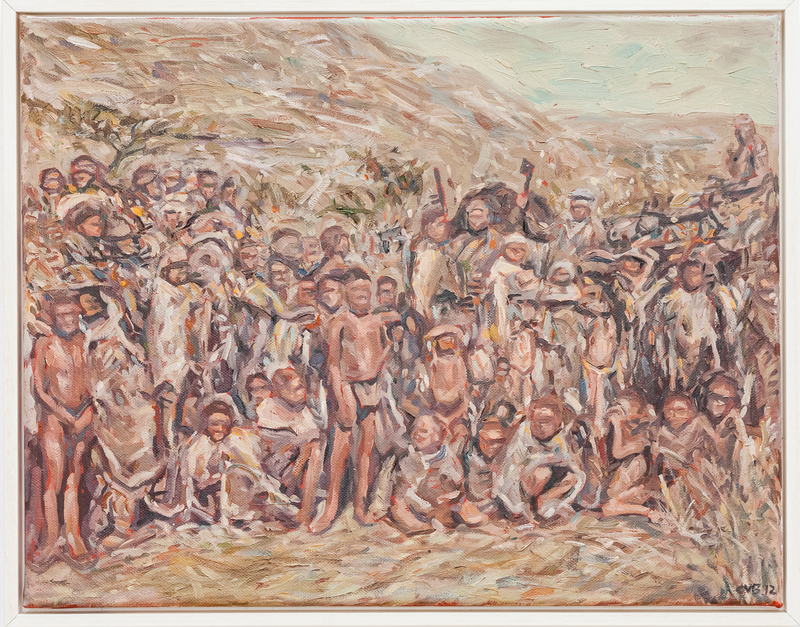 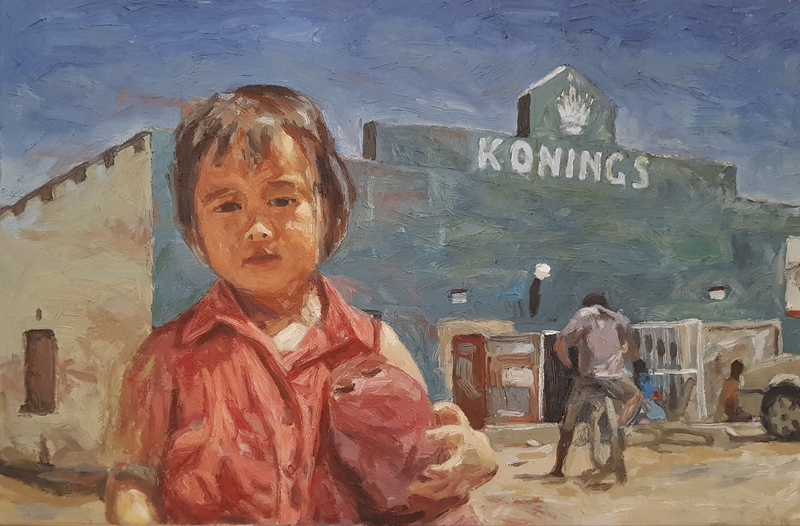 The human condition in southern Africa, past and present, has been the focus of Cobus van Bosch’s painting investigations in the last decade. 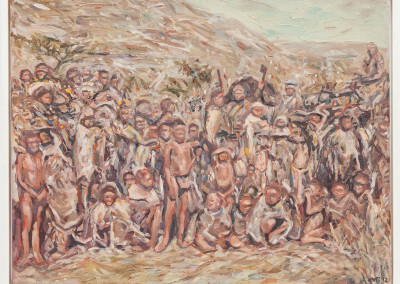 Where Shakespeare emphasized the world as a stage, and men and women merely as players, Van Bosch’s portraits, and even landscapes, focus on the players, who, in Steve Toltz’s words, “carry suffering on their faces, and also bitterness if there’s room”. 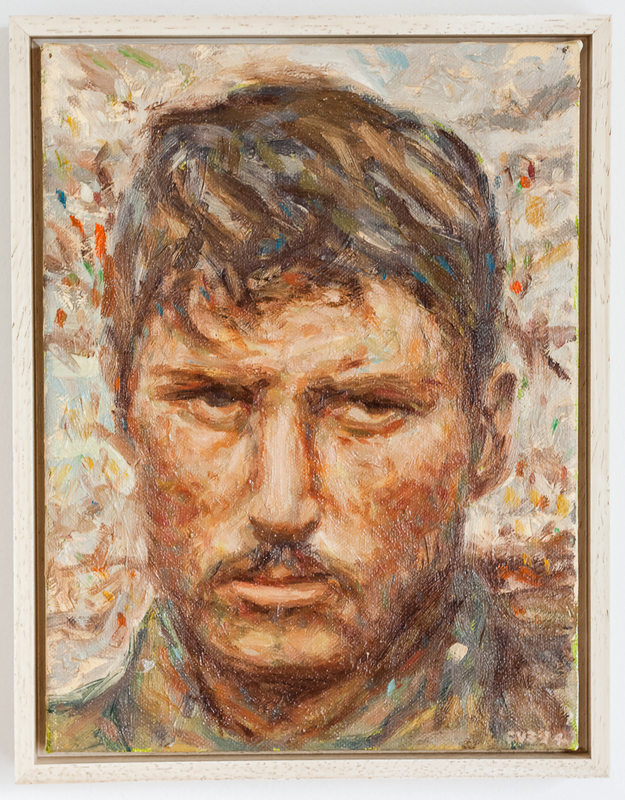 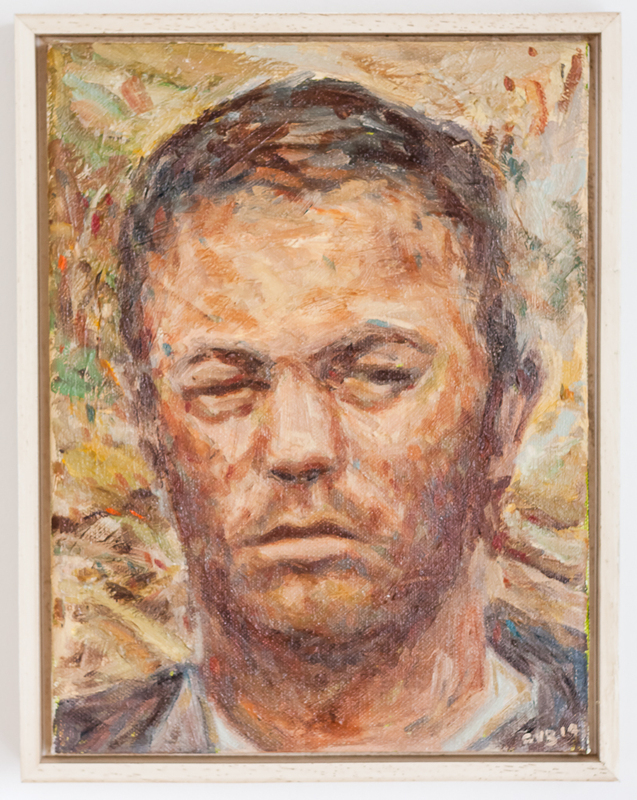 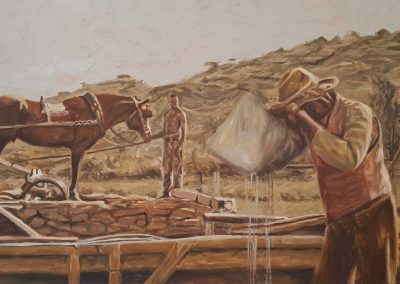 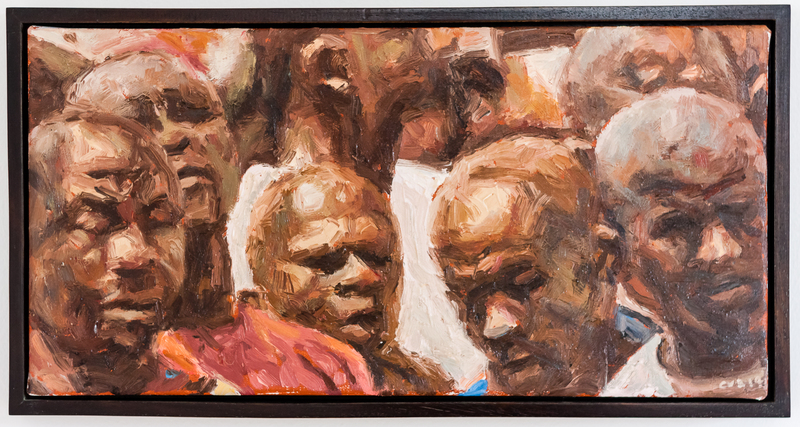 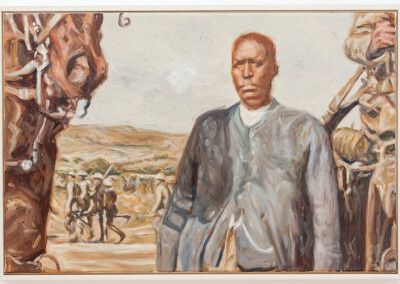 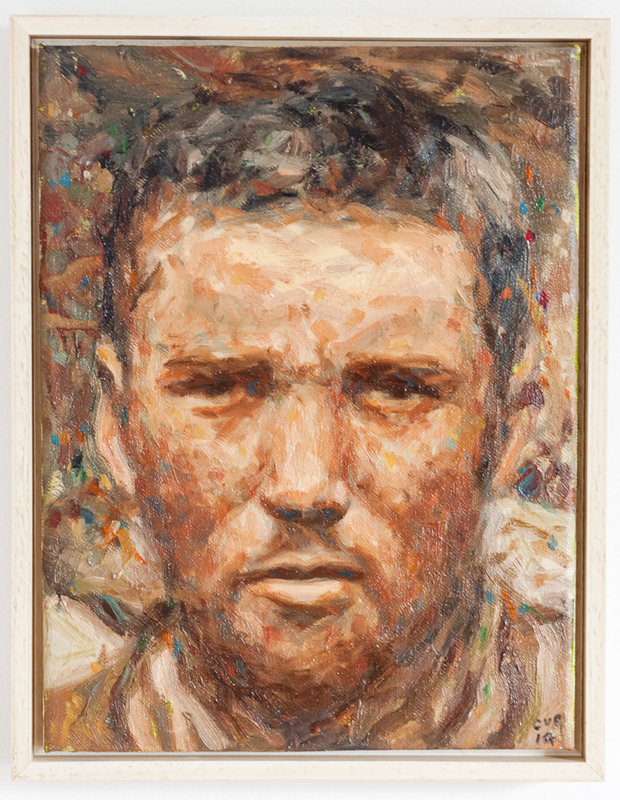 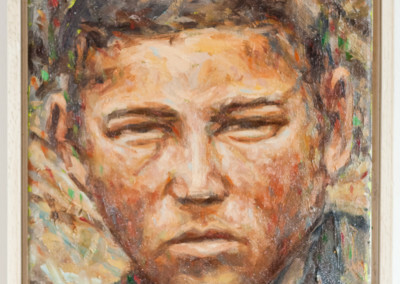 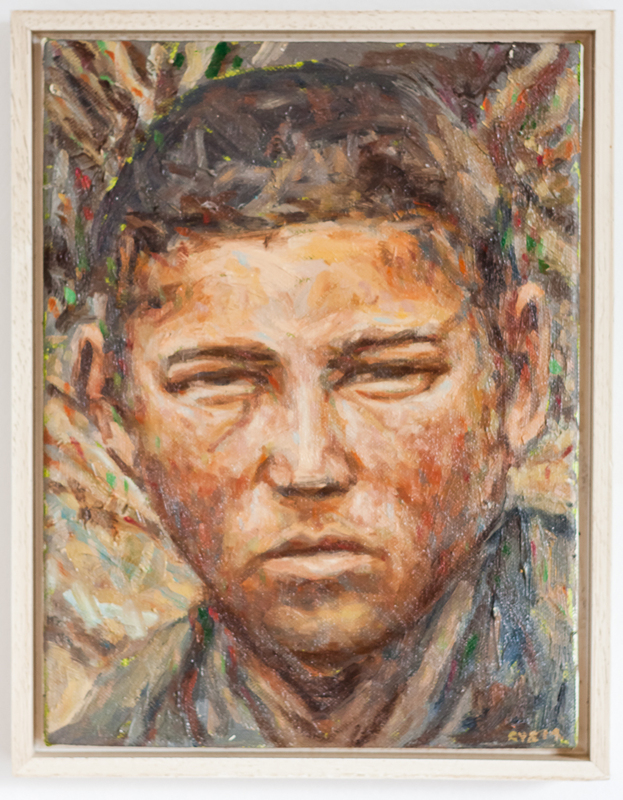 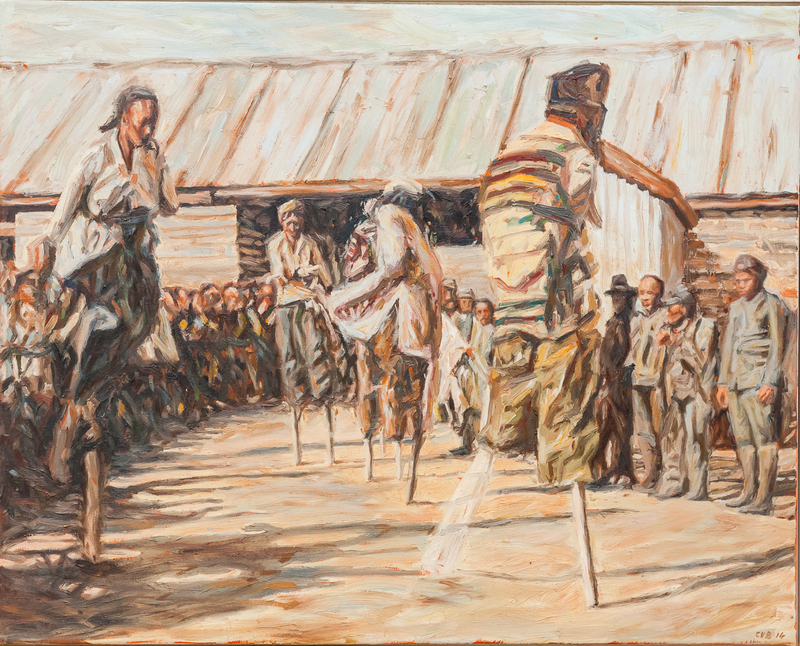 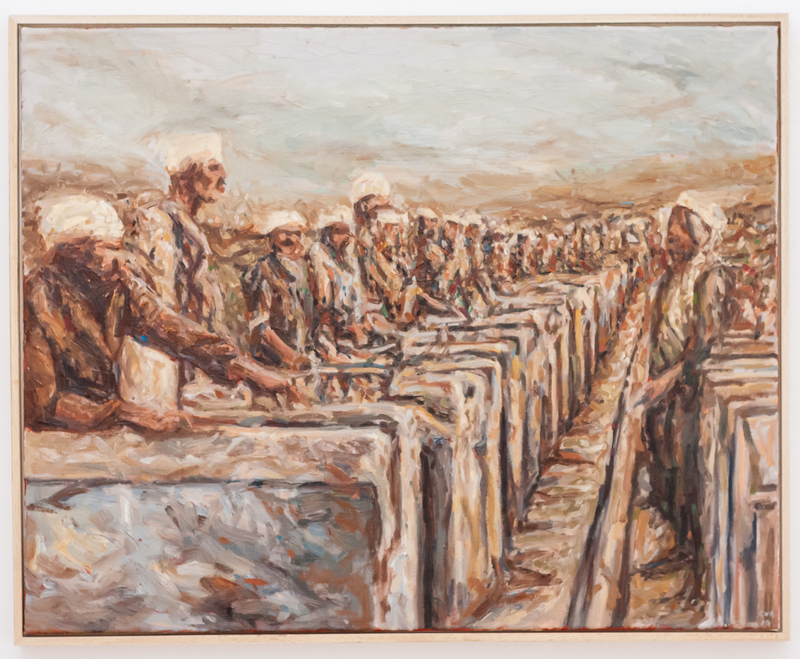 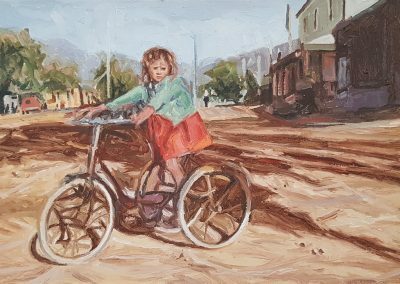 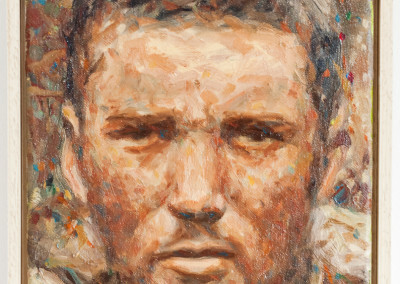 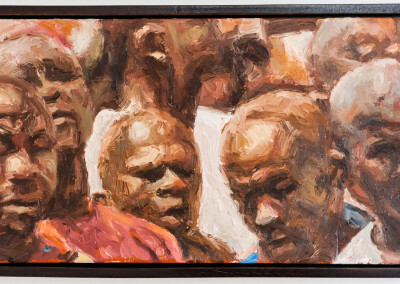 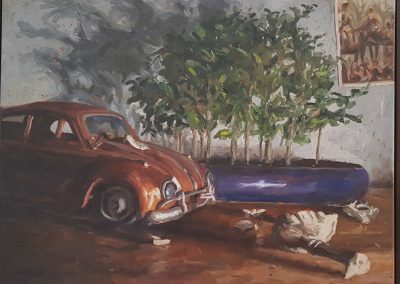 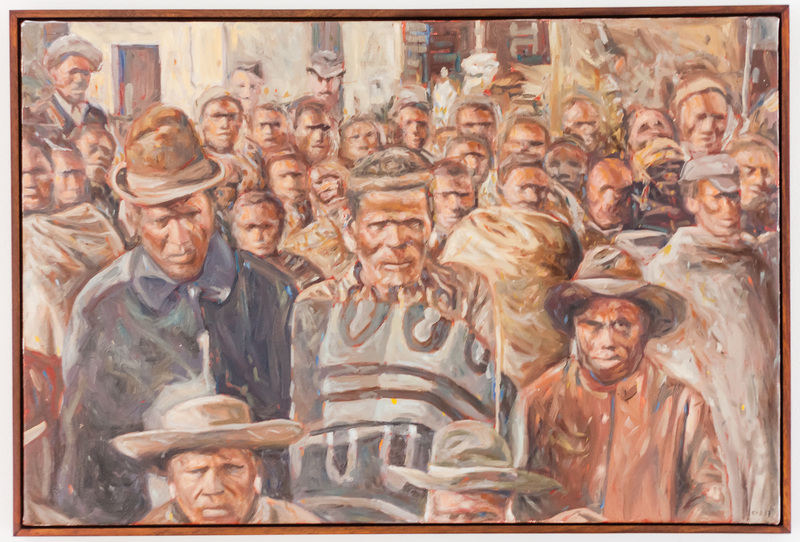 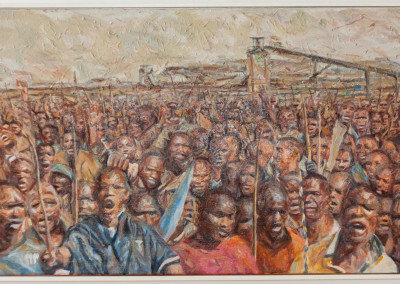 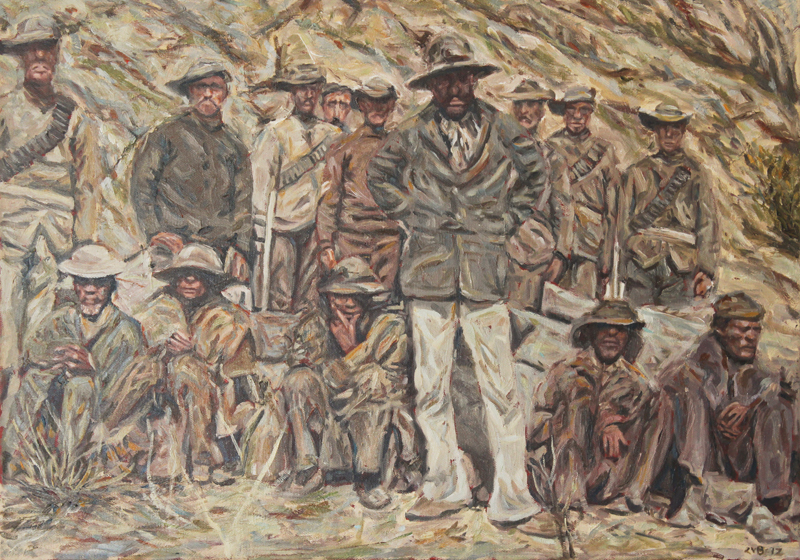 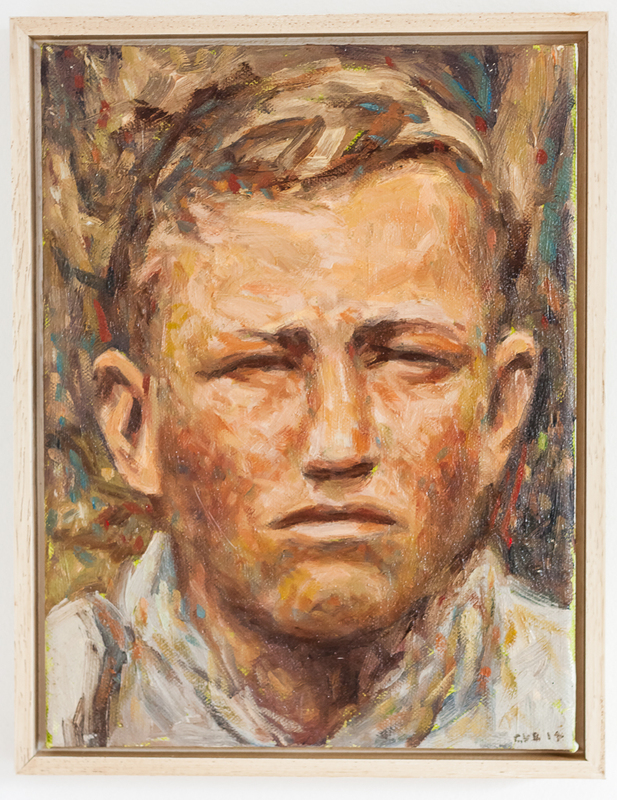 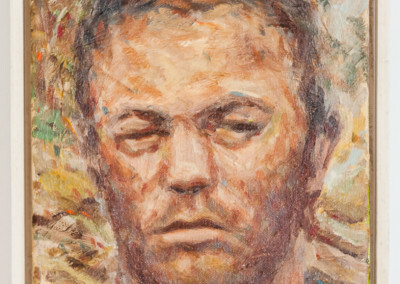 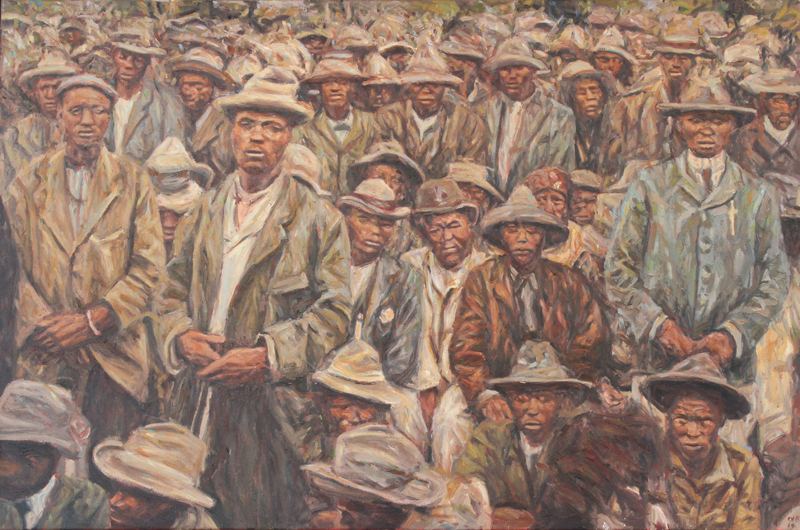 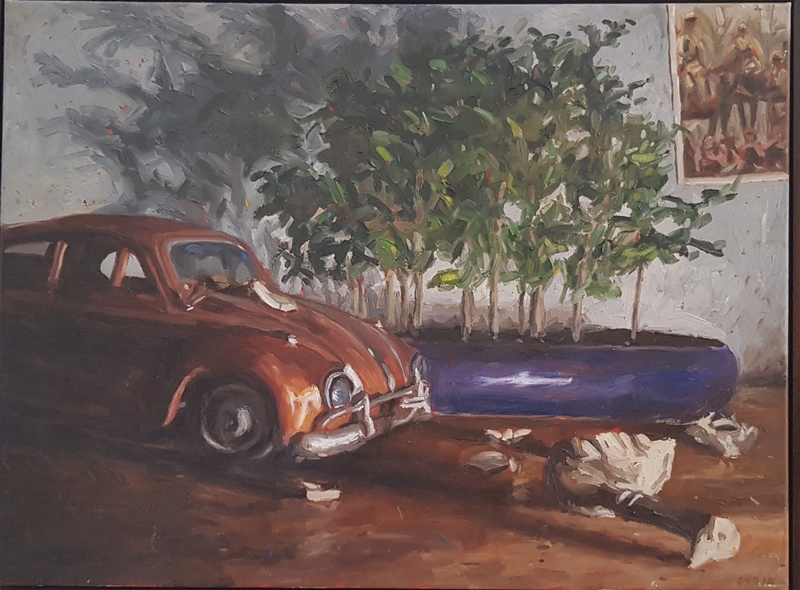 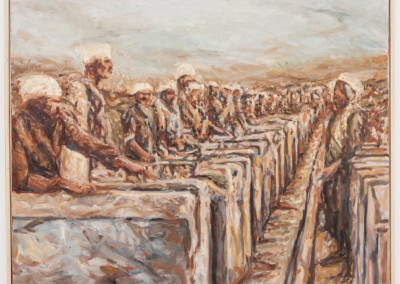 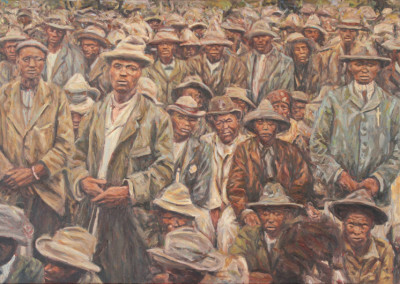 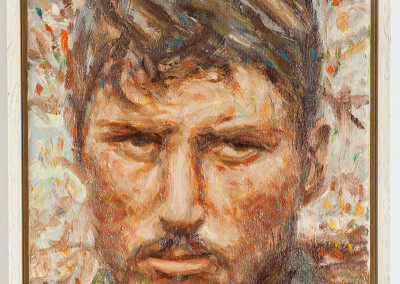 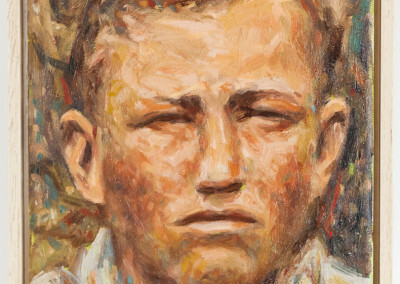 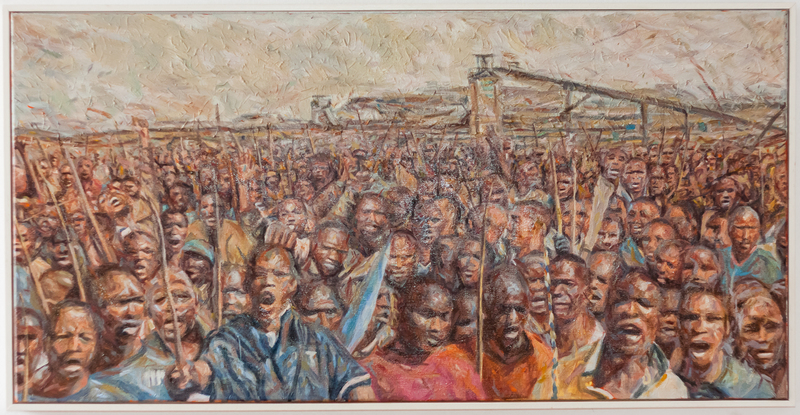 Van Bosch paints mainly in oils, but his investigations into people and their experiences of events in southern African history also include wood carving, casts in metal and other conceptual projects. 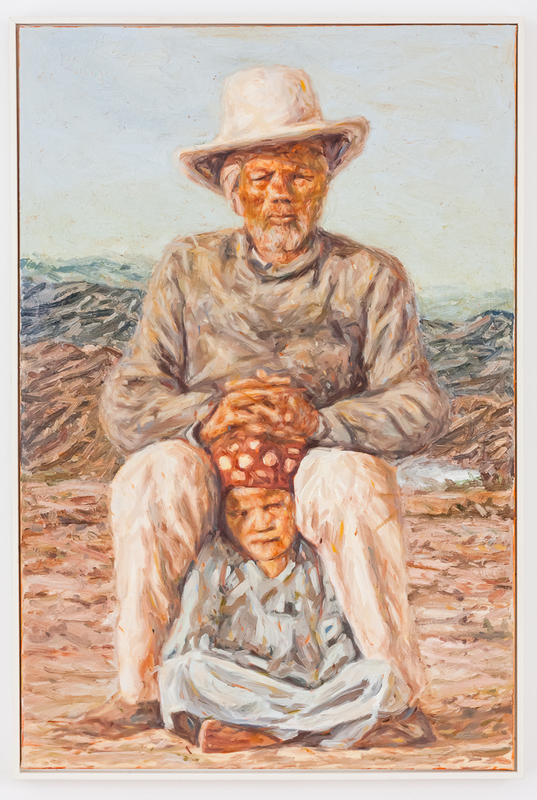 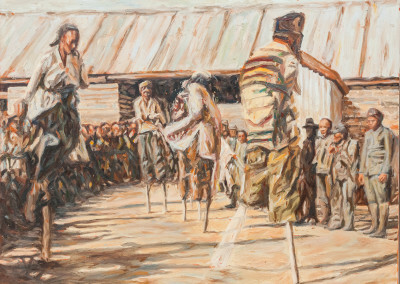 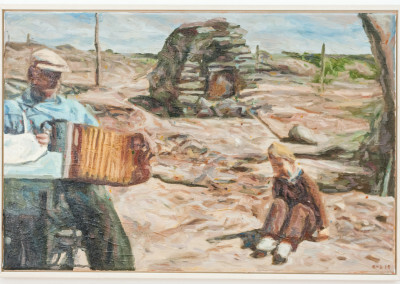 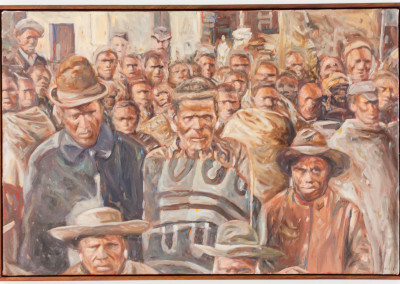 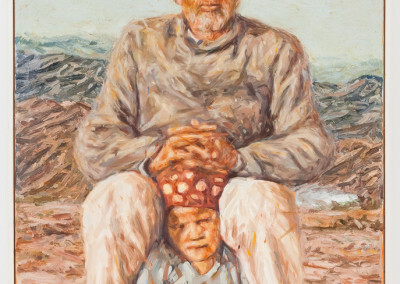 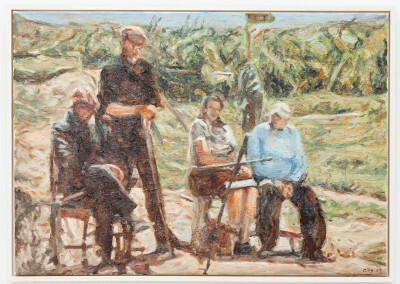 2013 – Vergete Verledes (March, Klein Karoo National Arts Festival, Oudtshoorn), awarded with the festival’s Kanna Prize for best visual arts exhibition. 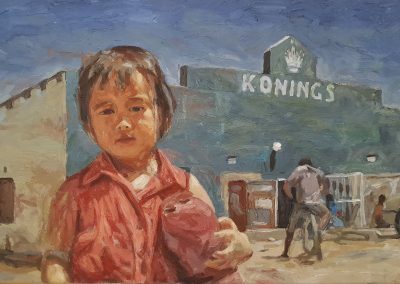 2013 – Vanitas – Memento Mori – group exhibition at the Klein Karoo National Arts Festival (Oudtshoorn), D-Street Gallery (Stellenbosch), Port Elizabeth (Ron Belling Gallery), Sandton (Dawid Ras Gallery) and the Association for Visual Arts (Cape Town). 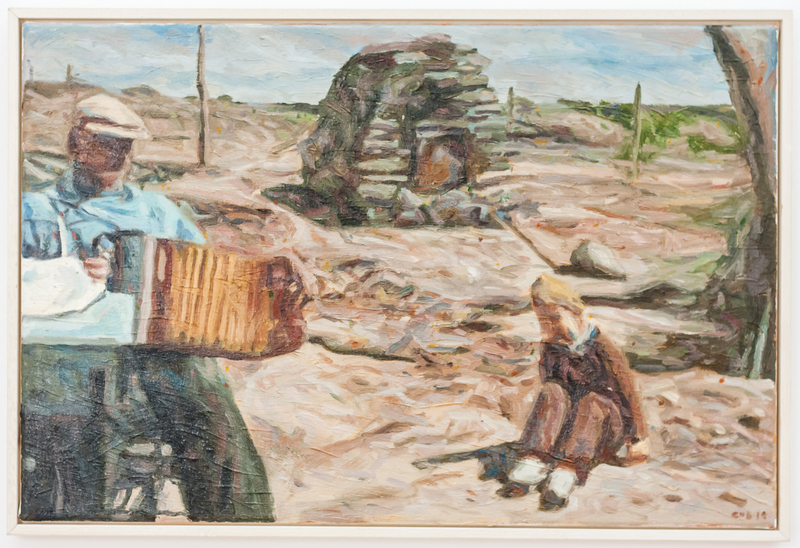 2013 – Kanna Prize for best visual arts exhibition at the Klein Karoo National Arts Festival for Vergete Verledes. 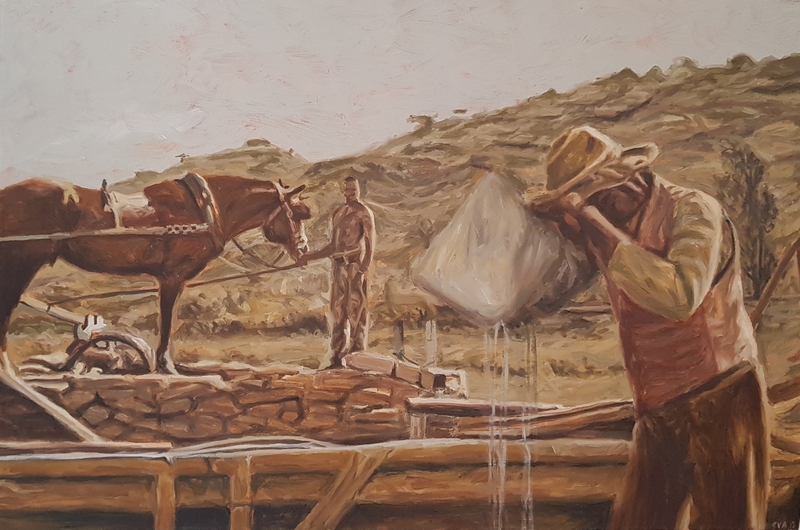 Didata, Sanlam, Sasol, Rand Merchant Bank, Nando’s UK, McMillan Insurance, University of the North West, University of the Witwatersrand, William Humphreys Art Gallery, Anglo-Boer War Museum.